One Step Up is a bookcase that combines form, material and function in a simple and chaste design. One Step Up is a bookcase that combines form, material and function in a simple and chaste design. 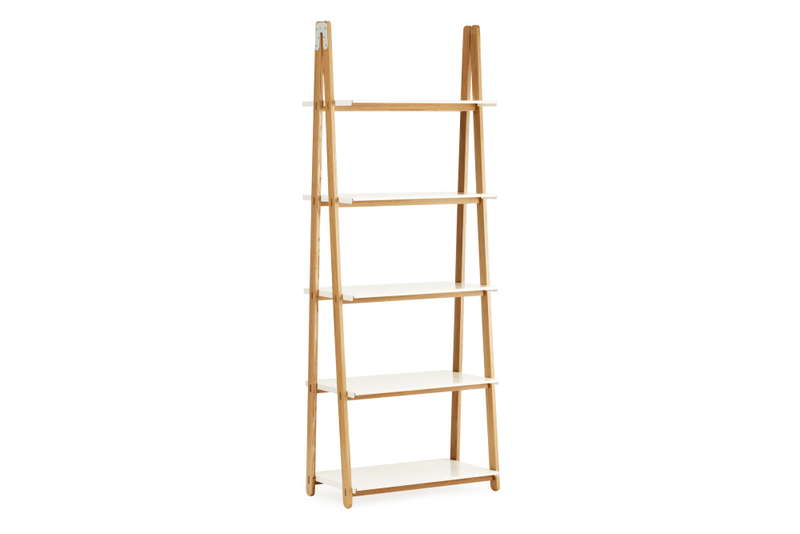 Francis Cayouette has been inspired by the ladder as an object and he has created a new flexible piece of furniture ideal for storage. One Step Up Low creates both the space and framework for cool storage. The idea behind One Step Up is that it is flexible and creates space in the room due to the ease with which it can be moved from one place to another. Details, such as the fittings, are accentuated and give the shelving unit authenticity. 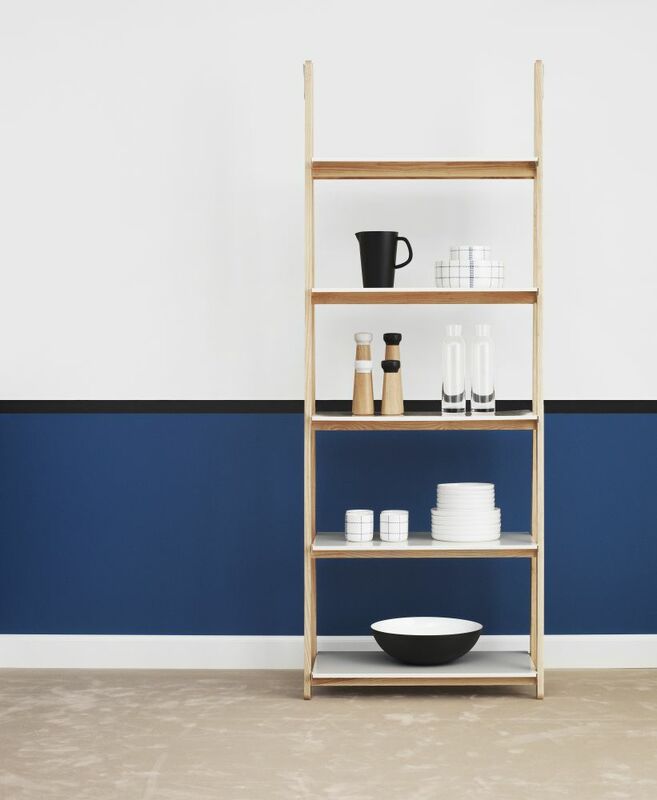 The natural ash wood and industrial metal shelves create an interesting dynamic. 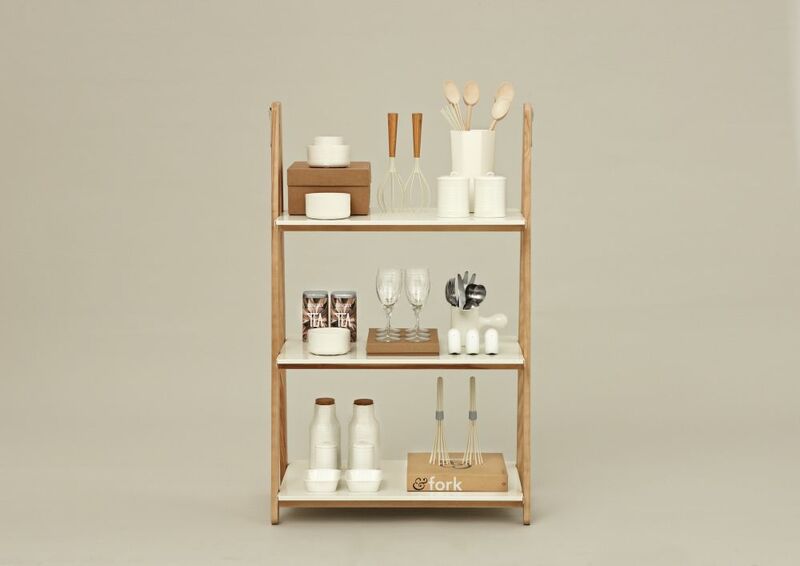 Ideal for storage, it can be used alone or as part of a shelving system including several units. Combine several units to create your own shelving system or use it as a light and airy room divider. One Step Up creates room and frame for storage. Place various One Step Up bookcases beside each other and create your own bookcase system. One Step Up bookcase can also be used as a light room divider.